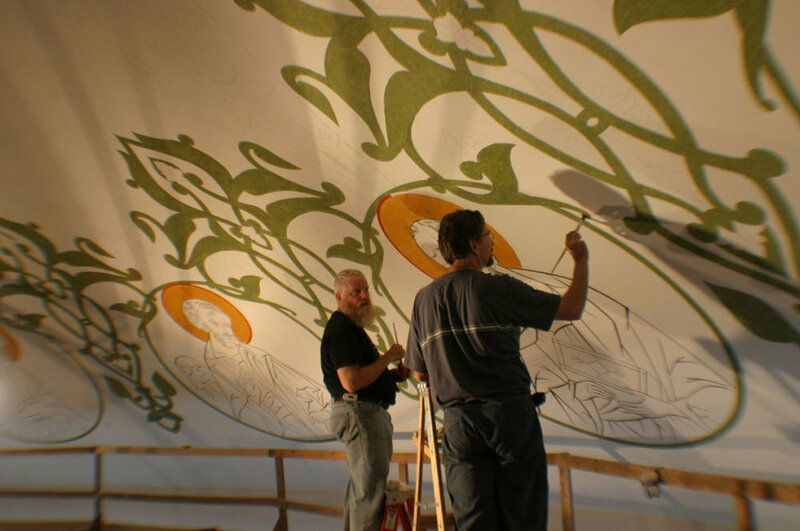 Markell Studios has created icons and iconic murals for churches and patrons across the nation and beyond. 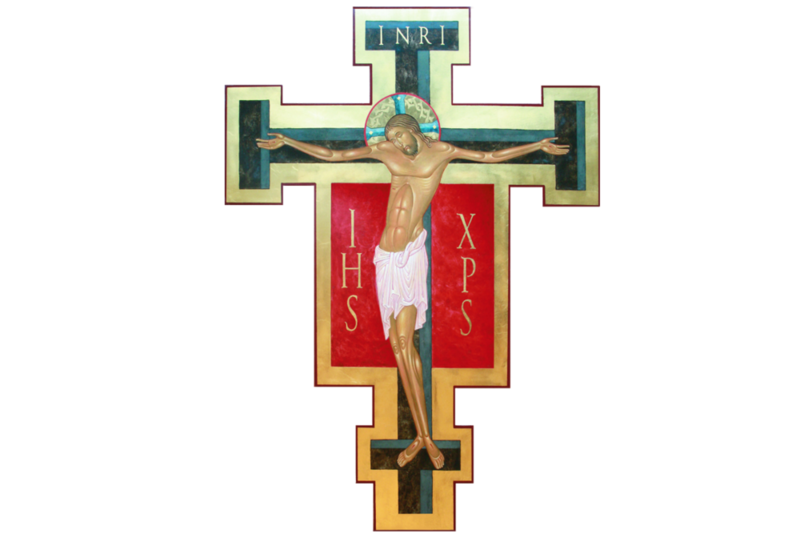 Commissions include work for Mary University in Bismarck, North Dakota, Our Lady of Lourdes Catholic Church in Minneapolis, Minnesota, The University of St. Thomas in St. Paul, Minnesota, and St. Josephs Hospital in St. Paul, Minnesota. 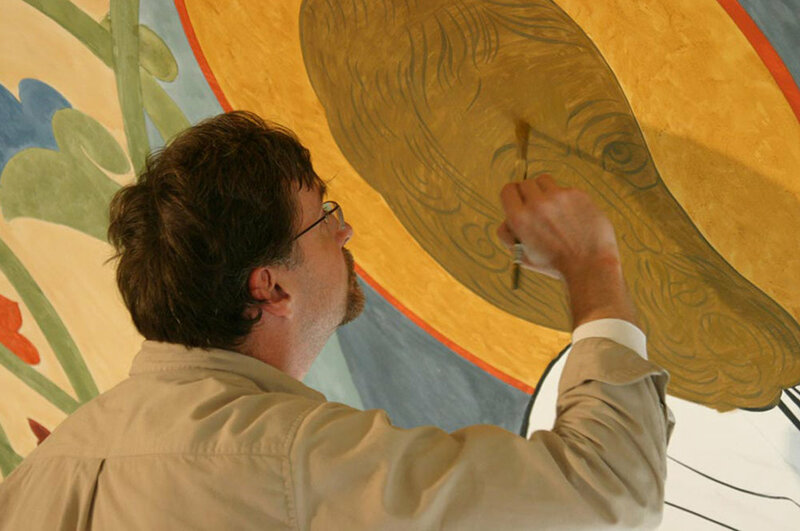 A retrospective exhibition of original icons and icon prints was held at the Basilica of St. Mary in Minneapolis in November of 2017 as the result of a Minnesota States Arts Grant awarded to Judy Symalla to document, catalog and publicly display the icon work created by Nicholas Markell over his 32-year journey as a Catholic iconographer. 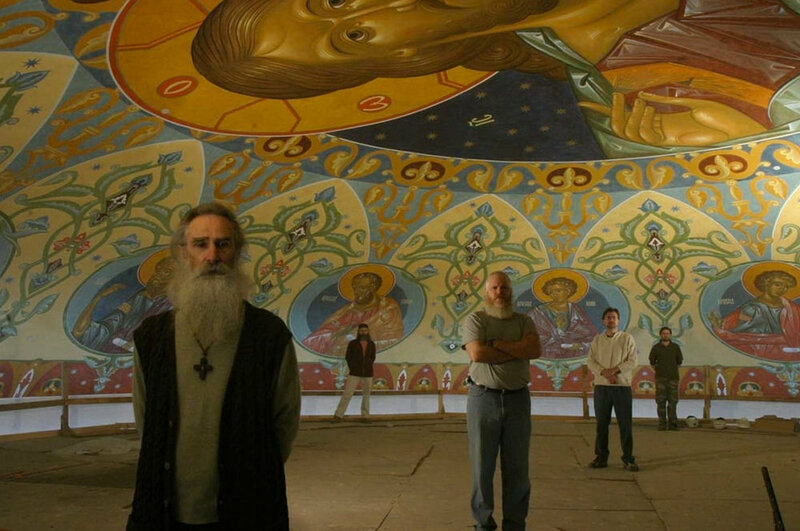 Over 140 giclee prints of icons and 15 original icons were on display as part of the annual Festival of Icons and monthly artists show. During the afternoon of November 12th, a reception was held to recognize and celebrate the exhibition. 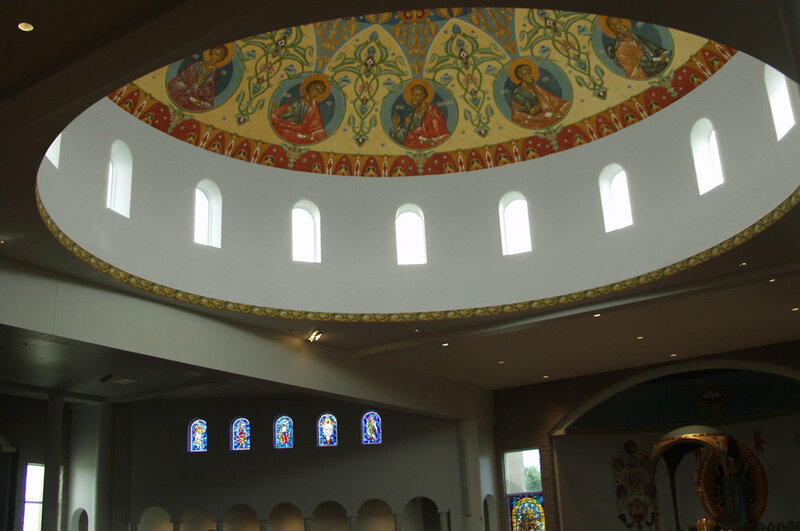 In 2004, The Church of St. Michael in St. Michael, Minnesota was dedicated as the new place of worship for the local catholic community and as a fulfillment of the desire of St. John Paul II that the church breathe with both lungs, East and West. 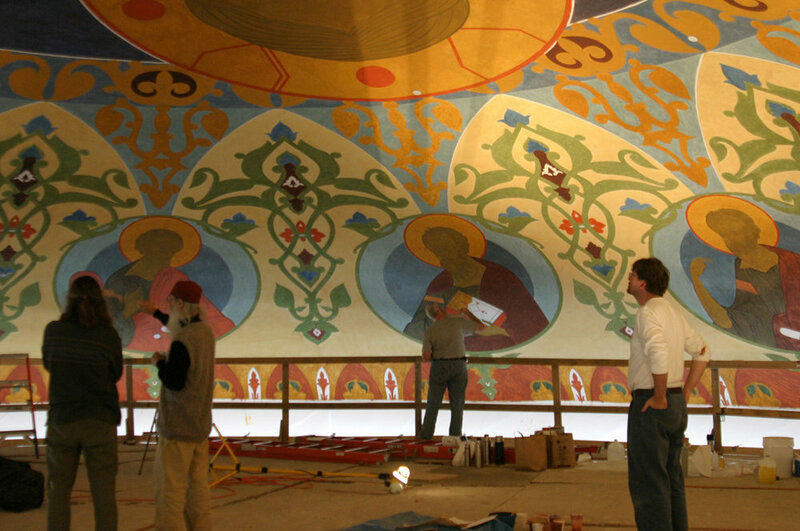 Nicholas Markell was hired to work alongside four fellow iconographers in the completion of the iconic mural that spans 60 ft in diameter and is located 75 ft above the church floor. 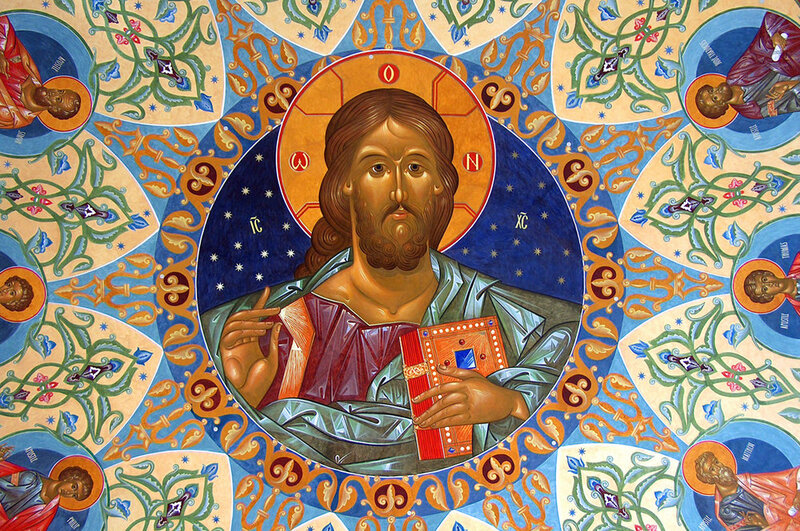 The iconography manifests Christ as Pantocrator-Ruler of the Universe.